Frozen Shoulder is a condition that causes pain and restriction of movement in the shoulder. It most commonly occurs between the ages of 49 and 62. For this reason, in Japan, it is known as “the fifty-year-old shoulder”. 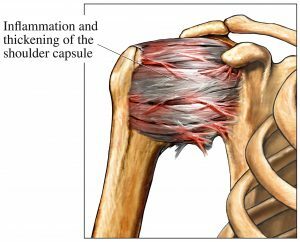 The pain and restriction are related to a structure deep in the shoulder joint called the capsule. This capsule is a loose soft tissue sleeve which wraps around the ball and socket joint of the shoulder. In Frozen Shoulder this capsule (and some of the surrounding structures) firstly become irritated and painful and then over time, contract. We don’t fully understand why this happens but the main physiological change that the capsule undergoes is the proliferation of cells called fibroblasts. This cellular change causes the capsule to thicken and contract. Because the capsule is irritated and painful, movement of the shoulder firstly becomes very painful. Later, as the capsule thickens and contracts, the movement is blocked – leading to the restriction of movement typical in Frozen Shoulder. What is the course of Frozen Shoulder? Stage 1: The painful / freezing stage: Gradual onset pain which increases in severity – often causing waking in the night and increasing difficulty with everyday activities due to reducing range of motion and pain. Stage 2: The restricted / frozen stage: The pain levels off or gets slightly better but the shoulder continues to get more and more restricted. Stage 3: The resolution / thawing stage: The pain gradually goes away and the movement comes back to normal. The timespan to move through these stages is variable. One high-quality epidemiological study showed that the average length of time for a Frozen Shoulder (without any treatment) is 30 months. 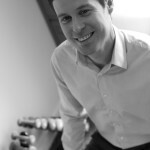 Our lead physiotherapist and specialist shoulder physiotherapist – Eoin Ó Conaire is very experienced at assessing and diagnosing Frozen Shoulder. There are three criteria in the diagnosis. A typical history of gradual onset pain and loss of movement in the shoulder – often with waking in the night due to pain. A clinical examination demonstrating a true passive restriction in the movements of the shoulder. Normal bony morphology i.e. an X-Ray that demonstrates that there is no other reason for the restriction. 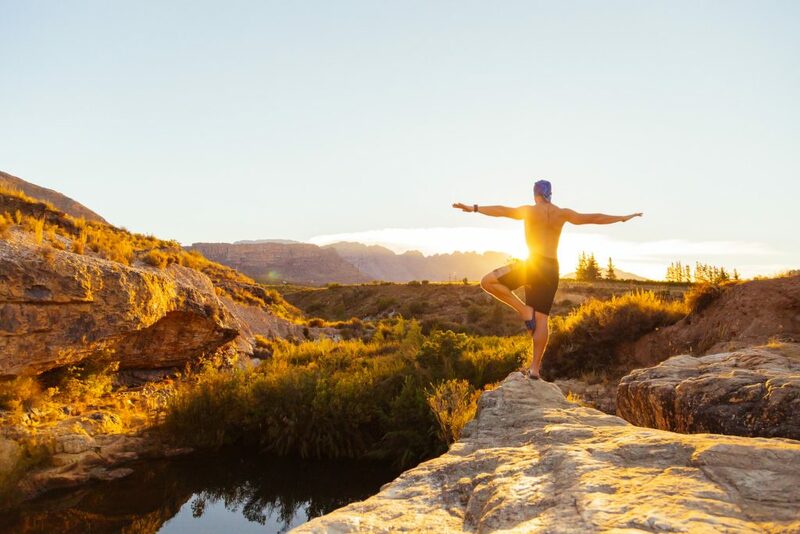 There are a number of different evidence-based treatment options for the treatment of Frozen Shoulder: physiotherapy, image-guided corticosteroid injection, arthrographic hydrodistension and capsular release surgery. Different treatment approaches are suitable at different stages of the condition and for different people. Our specialist shoulder physiotherapist – Eoin Ó Conaire assesses each individual, explains the findings and then discusses the pros, cons, risks and benefits of each treatment approach. Together you can make a decision about which option is most suitable for you. If you would like to book an appointment with Eoin Ó Conaire, you can call the clinic on 091 727777 or get in touch via the contact page.